In Bay City, Mich., veterans know the Elks care. Bay City, Mich., Lodge No. 88 used its Elks National Foundation Gratitude Grant to plan a great day out for veterans in partnership with the National Guard and a local veterans’ group. 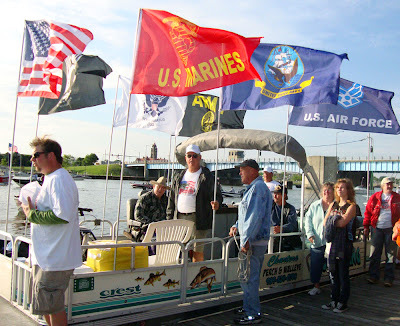 Elks provided food, support and publicity for the Walleyes for Warriors event.